Recently, I needed a way to dictate thoughts and ideas to my iPhone so that I could easily review them later and incorporate them into my writing. For a short time I used the Voice Memo app, but I became frustrated with the required second step of transcription. It was a waste of time to listen, retype, then edit. So I decided to get myself a Dragon. Wednesday I downloaded and installed the Dragon Dictation App on my iOS devices so that I could capture my thoughts on my iPhone. This is extremely useful for those moments when I can’t type but have ideas swirling around my head. Once I complete dictation of my thoughts, I email them to my Evernote inbox for safe keeping so that I can check and edit them later. I’ve found that Dragon captures words more accurately than Siri does, and this is a big plus because Siri loves to really change things up on me. The only thing I don’t like about the Dragon App is that if you multi-task swap to a different app, anything you dictated is lost. 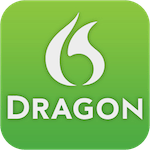 Dragon – can you fix this? 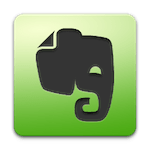 4 Responses to "Writer’s Tools: Dragon Dictation and Evernote"
also …what about dictating directly into evernote? The only way I can figure out how to dictate into Evernote is to use Siri to dictate an email and then send it there. IMHO Dragon transcribes the spoken word better than Siri. I use wordpress too. Where is your follow button please? Hi! Well, it should be somewhere. I haven’t turned it off. I can see the like button when I view a post or page.